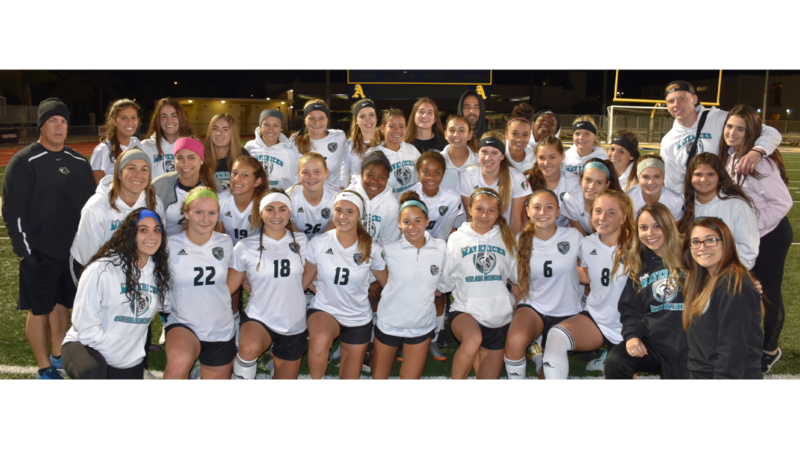 FC Prime Powered Archbishop McCarthy Historic High School Soccer Season | Football Club Prime Inc.
Archbishop McCarthy girls soccer has put together quite an impressive run of games. With a record of 19 wins with 0 losses, the team currently sits at #1 in the state and #3 in the country for girls high school soccer. The team reached as high as #1 in the country in the December polls. Football Club Prime is well represented in the squad. Archbishop team captain Sofia Mallardi and 12 of her teammates are FC Prime players. We caught up with Sofia (Senior), as well as teammates Devyn Encalada (Senior) and Kelly Hastings (Junior), to find out more about this impressive team. What were your expectations coming into the season? What was it like being named the number one high school team in the country? Recently you had an impressive 2-0 win over Gulliver, what was your preparation for that game like? What advice would you give underclassman? Is there a moment from this season that sticks out to you as being special? For the Seniors, what does it mean to go out with a season like this one? Archbishop now looks toward the district tournament and playoffs, where they hope to bring home a State Championship to South Florida.